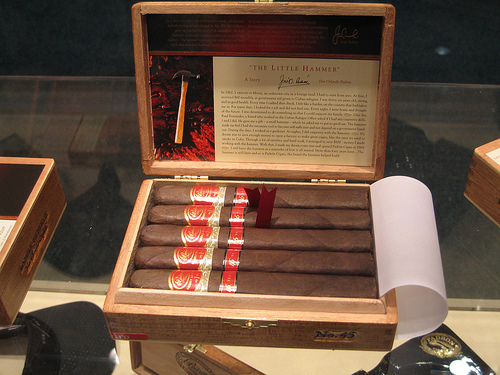 11:00am CDT: In our search for a cutter, we stopped by the Palío booth where we saw their new sportsman cutter series and also a new Churchill size of the Escencia cigar that they released at last year’s show. 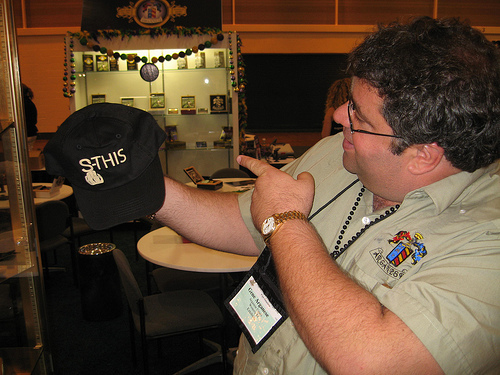 We also stopped by the Arganese booth where Gene Arganese gave us the story behind “S-This,” which he figures will save smokers over 40 cents per cigar. 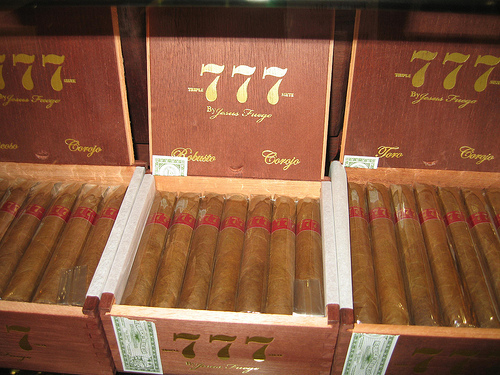 2:30pm CDT: Just met with Jesus Fuego who told us about his new 777 Corojo made with a Brazilian corojo wrapper. His father is growing the corojo wrapper in Brazil and Fuego says he is the only one to have access to it, which will be the focus of some upcoming limited releases. 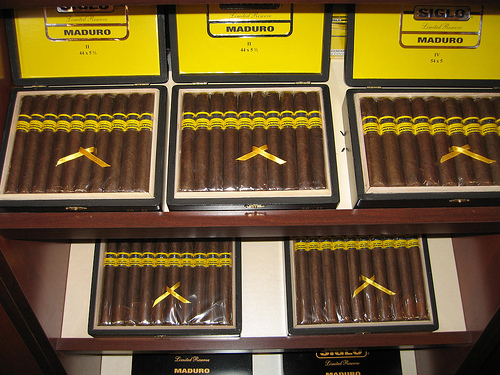 3:45pm CDT: Got the run down on the new smokes from Altadis. Some of the highlights were a Siglo Limited Reserve Maduro, Montecristo 75th Anniversary, Frank Llaneza 1961, Romeo y Julieta Maduro, and a Bering Puro Nicaragua. 4:30pm CDT: Dropped by the Padrón booth and saw the highly-anticipated Padrón Reserva de Familia 45th Anniversary. Due out in September, the box-pressed smoke will be released only in a maduro wrapper at first, with a natural wrapper possibly to come later this year. Great reporting as usual! Thanks for the updates, and keep 'em coming! Nice! this is the First time i get to see the new Padron. Not sure if red is the way to go, but nonetheless I see myself spending way to much money on those in the near future. Those Padron's look good enough to eat. Beautiful colorado maduro wrapper on those.